There are an estimated 68.5 million people worldwide escaping areas which have been destabilized by war and political corruption. A credible asylum claim allows a person the right to cross many international borders to seek protection without facing criminal charges or having their children taken and interned separately from them. Crossing into the U.S. for asylum is legal, and a person who does so may not seek to reside in the country permanently. Therefore, many of the Central American people at the southern border do not fall under the “illegal immigrant” label if their claims are certified to be true. They are neither illegal nor immigrant. Nonetheless, asylum seekers are currently being turned back into Mexico by officials at U.S. border crossings. and those who have made it into the country are detained alongside violent criminals in private prisons. These for-profit facilities have been linked to brutal and unsanitary conditions, including cruel treatment from underpaid prison workers, rampant fighting between prisoners, and denial of proper supervision and medical care. Asylum seekers in America are currently being incarcerated in brutally unsafe quarters and forced to perform prison labor for low wages, which they subsequently give back to the prison for necessities like food and toilet paper. Along with housing violent criminals, a crucial function of U.S. prisons today is imprisoning individuals from other countries who are in the country without proper documentation, including asylum seekers. Private prison companies thrive on overcrowded jails and seek to obtain government funds for their expansion projects. Adding undocumented foreigners to the mass incarceration formula is welcomed when each detainee increases the nearly $4 billion already generated yearly by the private prison industry. According to the International Rescue Committee, the difference between a refugee and an asylum seeker is mostly legal. They define a refugee as someone who has been forced to leave their home country due to threats of violence through war or persecution, and an asylum seeker as a person who lacks refugee status but has also been driven from their home by imminent danger. Asylum seekers have not been procedurally established as refugees but they are allowed by international agreement to seek refuge in America and they are not required to follow any procedures before escaping for safety. Many of the people crossing the U.S. southern border are asylum seekers from unstable Central American countries, like Guatemala and El Salvador, which are corrupted by violence and ruled by gangs. These people have often unsuccessfully sought safety elsewhere before resignedly leaving their home country on a wearying trip over challenging routes which expose travelers to immense physical struggle and looming threats of violence and kidnapping. Many leave on this journey because their lives depend on it. In the years after World War II, the 1951 Refugee Convention was written in recognition of the difficulties refugees and asylum seekers often face in following legal processes when fleeing their home. The treaty asserts a person “should not be returned to a country where they face serious threats to their life or freedom” and prohibits States from penalizing someone seeking asylum based on their manner of entry into the country. It followed the Universal Declaration of Human Rights which declared that “everyone has the right to seek and to enjoy in other countries asylum from persecution” and was adopted by the United Nations General Assembly in 1948. The U.S. is bound to honor both of these international agreements. Most people who attempt to file an asylum claim are allowed to do so once they reach the U.S., but then could wait several years to see a judge. About 10 percent of applicants from Central America are eventually granted legal asylum in America, but they were all previously allowed to stay in the country while awaiting their decision. 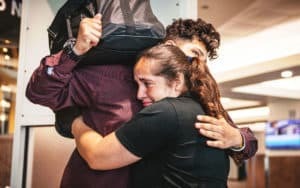 Those whose claims for asylum were denied were returned to their home country. The Trump administration has sought to overhaul such “dangerous loopholes” in the U.S. immigration system, which he now claims pose an imminent threat to national security. The president dispatched military forces to assist border patrol agents in fending off a caravan made up mostly of Central Americans fleeing danger and later announced by a tweet that asylum seekers at the southern border will be required to wait in unsafe conditions within Mexico for application processing. The government remains in a state of a partial shutdown while Trump demands funding for a steel wall to create a physical barrier at the land border with Mexico. Private prisons held almost three-quarters of federal immigration detainees in 2016 according to U.S. Immigration and Customs Enforcement, and the Trump administration is arresting immigrants at a higher rate. Research showed that 2017 ICE arrests increased by 42 percent in a year, and new administration rules likening asylum seekers to criminals have been used to supersede international agreements. 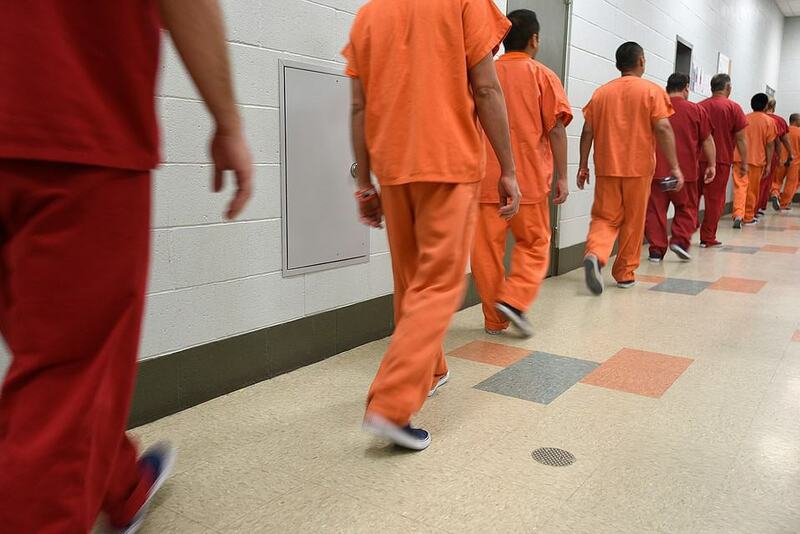 One private prison company known as CoreCivic saw an increase in profit when revenue from ICE arrests more than doubled between 2014 and 2015. Additionally, the state of Kansas signed a $160 million contract with the company to build a new prison and they received a 20-year agreement paying about $15 million to the company a year. That’s $300 million in revenue from the state to one private prison company over the life of a 20-year federal contract. While supporters of the private prison system argue the facilities are more cost-effective, they have been proven to be more unsafe for prisoners and the people who work with them. The facilities generate an outstanding profit and are allocated government grants to help with operations, but conditions have been described in various reports as atrocious. However, a month after Trump’s inauguration the Justice Department backtracked on previous decisions and announced they would continue the use of private prisons. 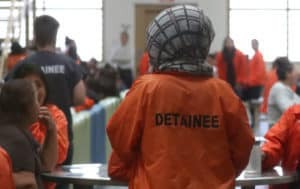 Additionally, the 2019 federal budget directs $2.5 billion to detain as many as 47,000 immigrants and asylum seekers. 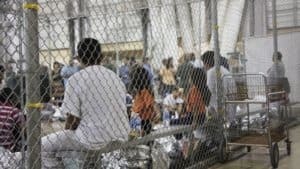 The New York Times reported that in September 2018, approximately 12,800 children were held in federally contracted detainment shelters, which was five times the number in custody roughly a year before. Conditions within some of these facilities are also reportedly substandard. A recent internal government report showed that thousands of more children may have been separated from their families at the border than previously known. The report from the Health and Human Services Inspector General notes that “the total number of children separated from a parent or guardian by immigration authorities is unknown” currently due to poor communication and tracking among federal agencies. However, there was a sharp increase in cases of family separation which started almost a year before Trump’s zero-tolerance policy took effect in early 2018. Of course, someone stands to profit from an increase in undocumented children in need of temporary placement. Southwest Key Programs runs 26 shelters for children in various states across the southern border, including the notorious Casa Padre which was built in a former Walmart Supercenter. The non-profit was anticipated to make over $458 million in 2018 and received approximately $1.4 billion in grants from 2002 to 2018. The president of the company brought home over $1.5 million in profit in 2016, a salary which had more than doubled from the year before. A New York non-profit agency called Cayuga Centers has received most of the children separated from family or arriving alone at the southern border recently, including during and before Trump’s zero tolerance enforcement period. They were anticipated to receive $500 million from federal contracts in 2018 for reportedly serving 600 unaccompanied minors, with plans to add 300 more spaces. In sharp contrast to the Southwest Key Programs president’s salary, the CEO of this non-profit only brought in a little over $220,000 in 2016. According to a 2016 report from the Justice Department Office of the Inspector General, privately contracted prisons were responsible for more safety and security incidents than similar facilities within the government-run Bureau of Prisons. The Department of Justice subsequently announced a plan to phase out the use of private prisons, allegedly due to a decline in prison population which allowed for better allocation of resources. In June 2018, the ACLU and partners released a report reviewing 15 deaths that occurred in ICE detention between December 2015 and April 2017. The report concludes with help from medical experts that “in more than half of those cases, substandard medical care — including unreasonable delays, botched emergency responses, and poor practitioner care — contributed” to death. The ACLU also documented cases of pregnant women left in prolonged periods of pain and bleeding, life-saving medication being denied to prisoners with chronic conditions, and individuals with serious mental illness being held in solitary confinement. The ACLU report recommends that all levels of government take steps to protect the lives of detainees and children. They suggest Congress reduce the number of detainees, ensure accountability for abuse in detention centers, reduce funding for immigrant detention, and regulate ICE. They also recommend the appointment of an independent medical oversight board to help address problems in medical care and monitoring within detention centers. Additionally, they believe state and local governments should increase oversight, specifically over ICE detainees, as well as refuse contracts with ICE and private prison companies who seek to expand immigrant detention capacity for a profit.